Delphi Technologies, the spun-off former powertrains unit of Delphi Automotive, reported lower revenue and sharply lower net income for the third quarter, largely due to factors that hit other supplier results, especially an unexpected decline in sales in China. "Growth in all regions, especially China, moderated significantly," said Hari Nair, interim CEO of London-based Delphi Technologies, in a conference call Wednesday. Delphi Technologies shares fell 6.7 percent on the news to close at $20.20 as the also company forecast of continued financial headwinds in 2019. Delphi Technologies said third-quarter net income fell 50 percent to $39 million. The company reported revenue of $1.2 billion, down 4 percent from a year ago. The company said its sales in China were down 12 percent, not counting foreign exchange effects. Delphi executives said in the conference call that 2019 would be an "inflection point" in its revenue and earnings. In 2020, new business which was booked earlier starts coming online in volume, the company said. Nair said Delphi has plenty of reason for optimism, starting with those new-business bookings. In the third quarter, Delphi booked new contracts worth $3.8 billion over their lifetimes. The company has booked $9 billion in new business in the first three quarters of this year, already beating the record $7.1 billion in bookings for all of 2017, Nair said. The new-business bookings are disproportionately in high-tech growth areas, notably gasoline direct injection, and in Delphi's Power Electronics segment aimed at hybrids and electric vehicles. Meanwhile, though, Delphi has to make investments now to meet that future demand, Nair said. "Beyond 2019," he said, Delphi would "convert bookings momentum to revenue momentum." Meanwhile, Nair said the revenue headwind from lower production of light-duty diesel engines would begin to dissipate next year. Delphi also would cut costs, which would offset some of the negative effects, he said. CFO Vivid Sehgal said Delphi was hurt worse that some other suppliers in the China because Delphi's customers skew toward smaller Chinese automakers, which are losing share in the softer market. In addition to short-term higher capital expenses, Sehgal said, margins are lower than the overall Delphi average for the new business being booked in gasoline direct injection and in Power Electronics, until those product segments increase scale and gain in manufacturing efficiency. That's taking "12 to 18 months longer than originally expected," he said. "We've always said GDI margins will ramp to scale, and that's what's going on," he said in a question-and-answer session with analysts. In response to a question, Nair wouldn't say whether he's in the running to become Delphi's permanent CEO. Nair was already a Delphi Technologies board member when he succeeded Liam Butterworth, who resigned from Delphi Technologies on Oct. 5 and joined turnaround specialist Melrose Industries as CEO. Before December 2017, Delphi Technologies operated as the Powertrain Systems segment of Delphi Automotive. Delphi Automotive spun off its electronics operation as a separate company, Aptiv, based in Dublin. 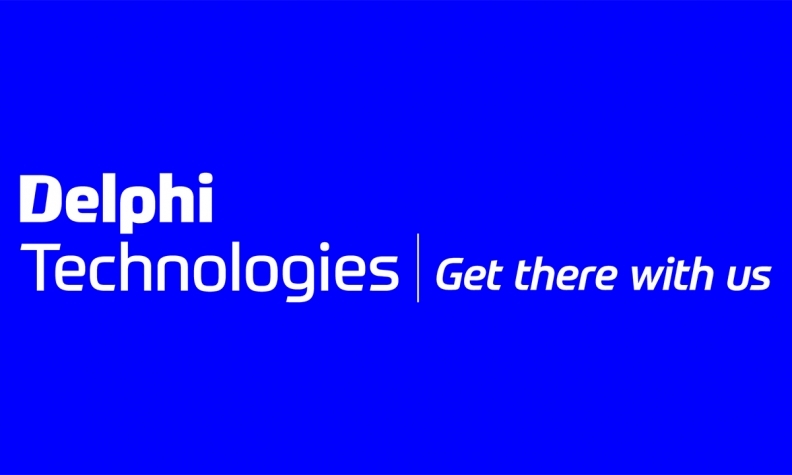 Delphi Technologies ranks No. 58 on Automotive News' list of the top 100 global parts suppliers, with parts sales to automakers worldwide of $3.9 billion in 2017, based on what its sales would have been as a separate company.